Rafflesia flower is the largest single flower in the world. There are about 30 species of Rafflesia, all found in Asian rainforests. They are parasitic plants that grow on Tetrastigma vines, which grow only in undisturbed rainforests. They have got no visible leaves, roots or stems, although root-like organs are spread into the host vine. They are rare to see as the flower only lasts for a few days, and they are endangered because the undisturbed rainforests are disappearing. They've got a smell and look of rotting flesh which attracts incects such as flies that pollinate them. 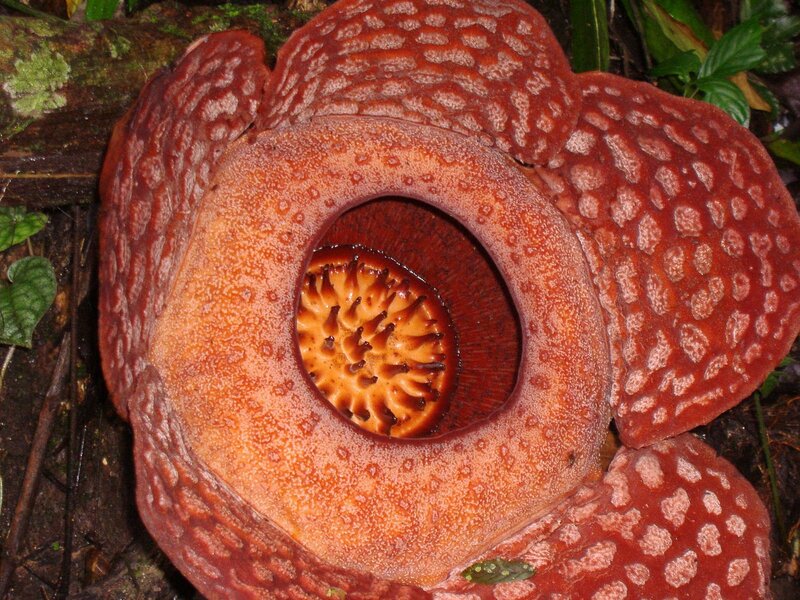 Rafflesia arnoldii has got the largest flower of all the species, with a diameter up to one metre.